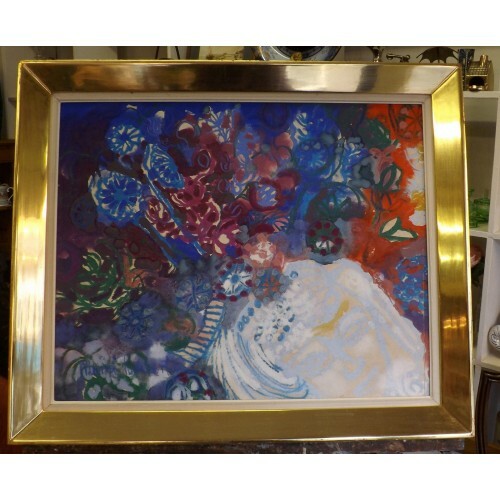 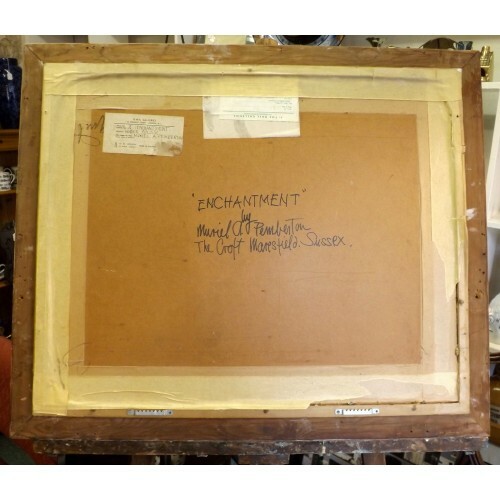 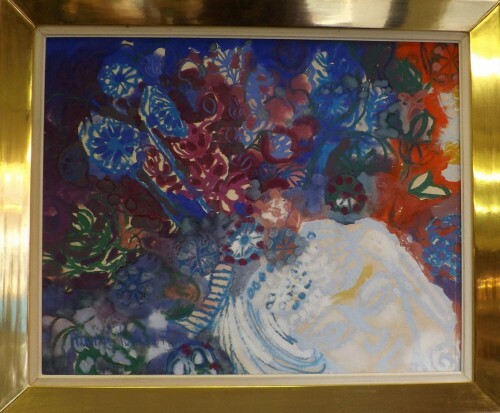 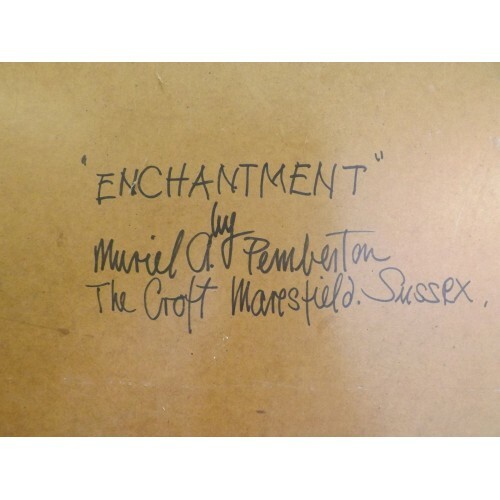 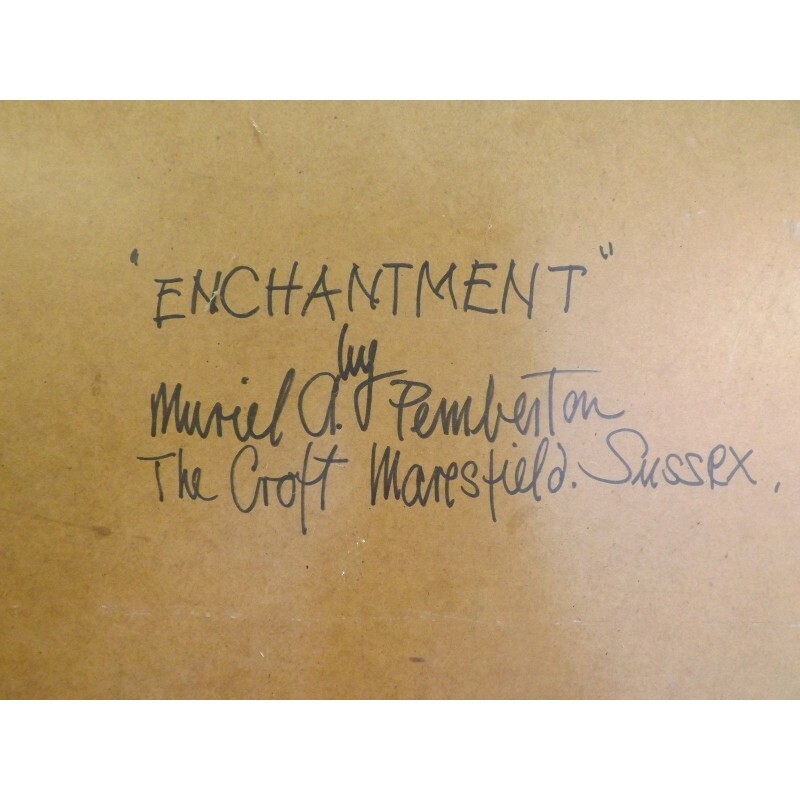 Offered for sale is this beautiful original work, Enchantment, by Muriel Pemberton RWS, 1909-1985. 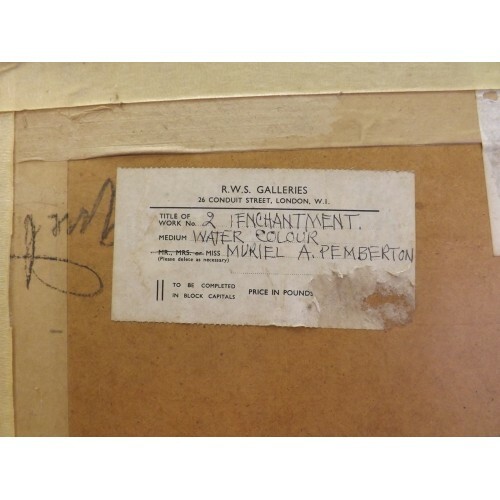 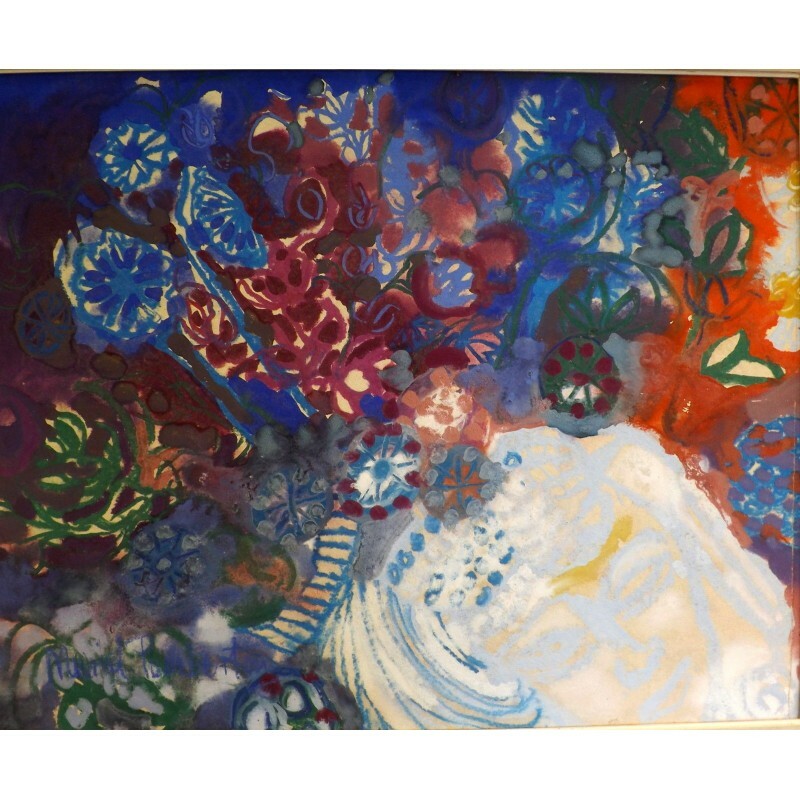 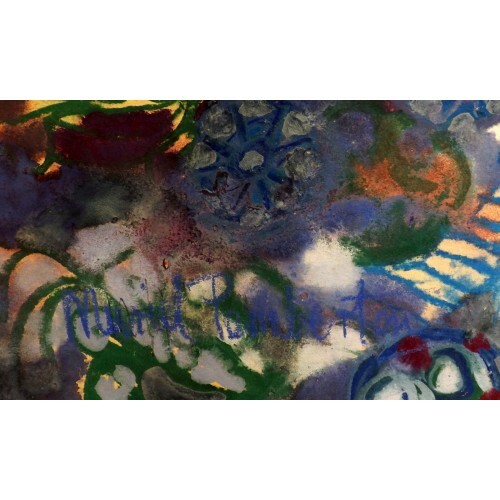 This was exhibited at the Royal Watercolour Society Spring 1969, Number 67, Spring 1977, Number 209 and Autumn 1984, Number 203. 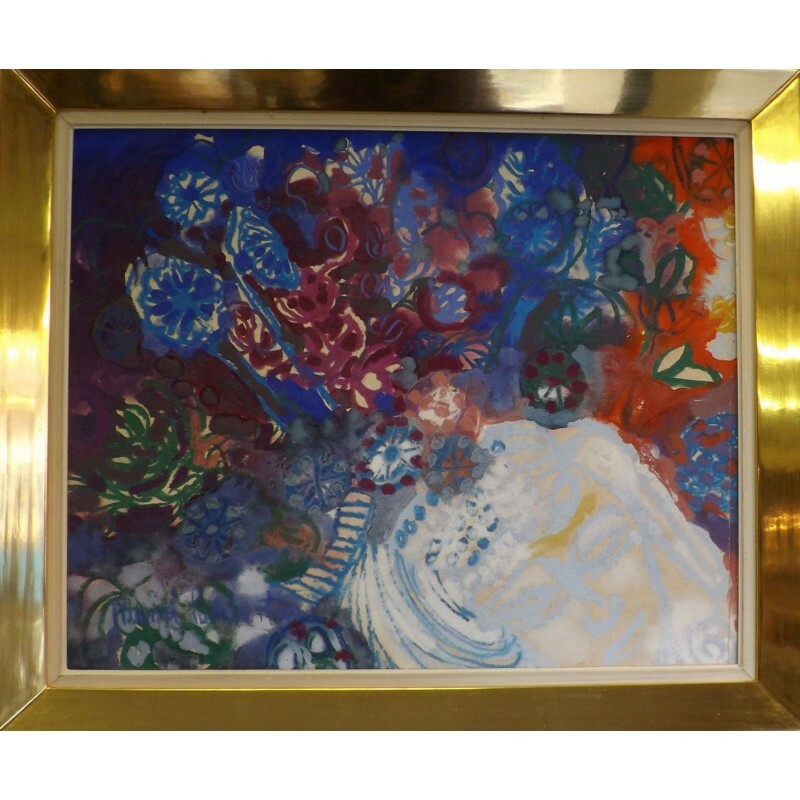 The size of the actual work is 19 1/2 inches x 24 inches, and is framed. The frame needs replacing, and the picture has no glass.